Perhaps the first thing to cover is whether the Iroquois were a tribe in their own right. There has been some discussion about whether or not this was indeed the case. It would appear that of the many authorities on these people, very few - George Catlin being one - subscribe to this view. He writes of a separate Iroquois tribe and seems sure of one thing – 'the Iroquois tribe did not belong to the confederacy'. Catlin maintains that at one time the Mohawk were a branch of this putative Iroquois tribe, but that after the formation of the league, the Iroquois proper moved their dwellings to the far north and east, away from the shores of the St Lawrence River, so as to avoid the many conflicts that were engulfing the confederacy (or league - the terms are interchangeable). By the 1830s the Iroquois were nearly extinct. Interestingly, another leading scholar - John R Swanton - makes no mention of this elusive 'Iroquois Proper' tribe and only uses the term in relation to the confederacy. As there is such a dearth of knowledge regarding the 'lost' Iroquois, the preference here is to maintain the status quo and regard their existence as a remote possibility only. At the inception of the league, fifty hereditary sachems were installed, equal in rank and authority. Each sachem was 'raised up', and invested with his title by a council of all sachems, with suitable forms and ceremonies. No one could become a ruler until the ceremonies and rituals of investiture were complete. This was to safeguard against fraud and contention. 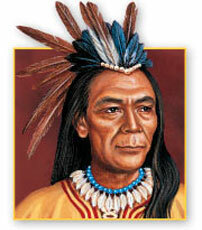 Next to the sachems in seniority were the chiefs, an inferior class of ruler. The very existence of their office was an anomaly in the Iroquoian oligarchy. The office of the chief - Hä-seh-no wä'-neh - which renders as 'an elevated name', was made elective and was the reward of merit. It came without any power of descent, the title terminating with the individual. No limit was established for a limit to the number of chiefs (the Seneca had eight sachems and seventy chiefs out of about 2,500 souls). The introduction of chiefs had become a necessity, one that was demanded by circumstance, and in the early days their role was that of assistants to the sachems. Their power was consequently limited to the affairs of their own nation, with them acting as counsellors rather than rulers. No sachem could make war in his official capacity as a civil ruler. He was essentially a man of peace. If he was disposed towards war he temporarily laid aside his office and became an ordinary warrior. 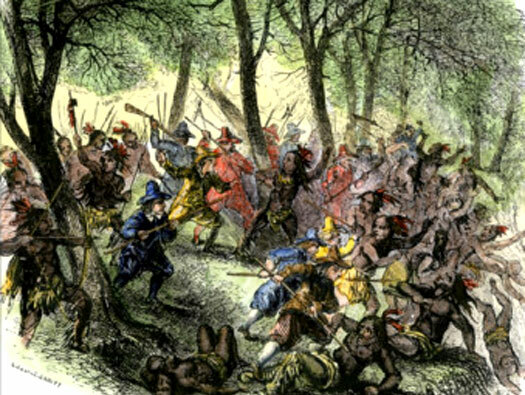 With no system of appointing war chiefs, most Iroquois wars were nothing more than personal adventures. Because of this fluid state of affairs, it was decided to appoint two hereditary war chieftains to co-ordinate battle plans rather than command in the field, although if they so desired then they could assume command. The first such war-chief was Ta-wan'-ne-ars (hereditary in the Wolf Tribe) and the second was So-no' -so-wä. To these high chiefs was entrusted supreme command of the forces of the league. This office has often been attributed to Mohawk war commander, Tä-yen-dä-na'-ga (Joseph Brant), but this is a false assertion that is contradicted by all of the Iroquois nations – including the Mohawk themselves. The basic Iroquois unit was the extended family; people related by blood and marriage were grouped into clans which could trace their descent through the female line (matrilineal clans). Clan members were considered family despite any national loyalty. A council of fifty sachems or supreme chiefs governed the league. Each of the five (later six) constituent tribes and clans were represented, with the five founding members of the confederacy represented by a delegation of between eight and fourteen members. These positions were hereditary within a matrilineage. Marriage was forbidden between members of the same clan. Each clan comprised a headwoman, known as a matron, her immediate male and female descendants, and the issue through the female line. Particular responsibilities were entrusted to these 'Clan Mothers', who oversaw a chief's actions. It was the clan mother who appointed a new chief on the death of the old one. The average extended family numbered between fifty and two hundred persons who were grouped into individual 'firesides' of husband, wife, and immediate children. The tribe was made up of a number of clans, with names derived from animals such as bear, deer, hawk, snipe, turtle, or wolf. The tribe's clans were divided between two halves, technically termed 'moieties', which carried out various ritualistic or social functions. The council which administered the affairs of the confederacy was composed of fifty sachems in accordance with the tradition of the first grand council that had been assembled by Deganawidah. These sachems were elected to the council from prescribed clan segments within the moieties of each of the five original nations, again in accordance with the number of sachems from each nation at the original grand council. 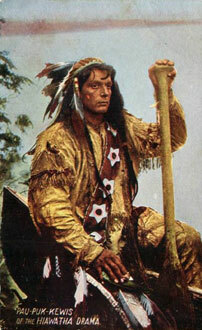 Each sachem took the name of one of the original sachems, somewhat like taking an hereditary aristocratic title. Generally speaking, the clans bore the names of animals as mentioned above; individual villages and communities were governed by councils which were presided over by their own sachems and chiefs. Although there are some variations, the moiety groupings, by and large, were as laid out in the table below. Entries in brackets - in red - are according to Johnson, whereas the main entries are drawn from Morgan's 1851 work. Sorry, the table is not available for this display width. Please try viewing the page in landscape.